In 2014, The Dutch-American team of researchers produced a qubit that survived more than 100 microseconds. That is about 100 times longer than had been possible up until now. A microsecond is still very short, but can be enough to perform calculations in a future quantum computer. The researchers published the results in Nature Nanotechnology. The research team was led by Lieven Vandersypen from Delft University of Technology. The researchers from Delft worked together with the University of Wisconsin. Interestingly, the researchers made their qubit from silicon. Up until now research into qubits has mainly been done using the semiconductor material GaAS. But silicon is the standard building block of computer chips and is therefore the more obvious choice for a future industrial application. 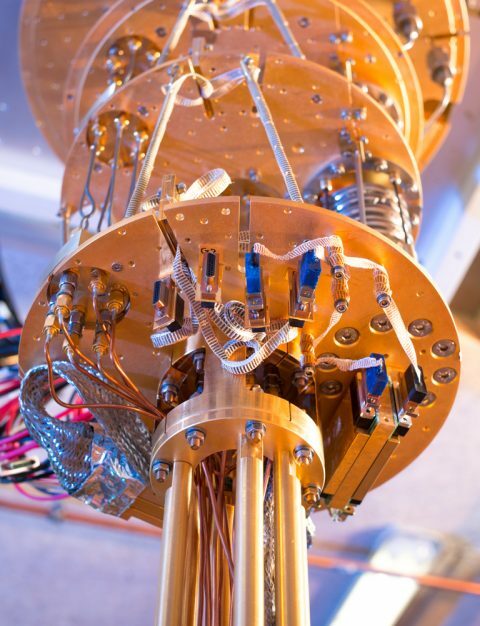 As the qubit is now a lot more robust and scalable, a quantum computer has come a step closer by. In the future, a quantum computer will be able to solve problems that even supercomputers cannot cope with. And quantum computers that are linked to each other can form a quantum internet. The quantum computers can transmit information over that quantum internet in a fundamentally secure manner. The research of Vandersypen and his colleagues is part of the FOM focus programme 'Solid State Quantum Information Processing'. The programme ended in 2014 and lay at the basis of various advances. For example, besides the long-living qubit it also revealed traces of Majorana particles and a collaboration with Microsoft was established. Furthermore, records were achieved with the reliable readout, control and collection of quantum states. Another breakthrough was the teleportation of information between entangled quantum bits in various computer chips. Although the focus programme has come to an end, the research is continuing. Firstly two successive FOM Industrial Partnership Programmes have been set up with Microsoft and secondly Delft University of Technology and TNO have set up the advanced research centre QuTech. The part of the experimental setup that cools the qubits to one fifteen-thousandth of a degree above absolute zero.